If you’ve been into K-Pop for awhile, you’re probably familiar with the fact that June is BTS’s Festa month, which means lots of goodies released to ARMYs in the form of new music, videos, and more. The final release celebrating Festa this year came in the form of serious fire in “Ddaeng” from the rap line. Many of us are huge fans of the group’s rap line and their cypher releases, which haven’t been around (officially) since 2016. However, it’s very easy to pinpoint that “Ddaeng” falls into the cypher category with its intensity and mocking lyrics. Almost immediately “Ddaeng” stands out as it uses traditional East Asian musicality in the melody that supports the modern rap beat. This is a sound that hasn’t been explored in mainstream Hip-Hop, and it’s a very interesting angle for the rap line to go for. On top of that, RM’s verse is absolutely unbelievable in its slayage, not just because he manages to incorporate fake stuttering, but because his insults are so complex you have to look up what his idioms mean in order to understand just how badly he’s dragged you through the mud. We stan the true rap kings. Ever since JBJ’s disbandment, I’ve been desperately thirsting over the return of each member to the music scene so I could forever remain in denial and pretend that they were still together. As such, June has been a fabulous month for my delusional self, with both Longguo and Donghan making their solo debuts. While Longguo only released a special single, Donghan had a full mini-album that even featured former member Sanggyun in one of the tracks (I have never been so fed after a disbandment in my life). Donghan continues to prove how multi-talented he is through the album, with new sounds in his solo as well as some throwbacks to the classic JBJ melodies. He even won first on The Show with title track “Sunset” after just a week or so of promotions! If that doesn’t tell you how talented the boy is, nothing will. Expectations were definitely high for BLACKPINK’s long-awaited return, but I wasn’t prepared for the absolutely stunning visuals that would accompany it. Though I really shouldn’t be surprised, as it should be expected of YG Entertainment to go completely over-the-top on the video budget for the girls’ return. Despite clearly being over-the-top, I can’t help but absolutely love it. I mean, Jennie came out here on a straight up diamond-studded tank—can it even get more extra than that? All jokes aside, the contrasting dark and bright colors are enrapturing, and I particularly love the scene where Jisoo is dressed in all black holding an umbrella up as it rains fire behind her. The two different sides of black and pink are showcased in different scenes of each member’s verse, which keeps your attention through the whole video. A perfect metaphor for this is Jisoo’s scene with short pink hair compared to her scenes with long black hair. And of course, fire is everywhere because everything BLACKPINK does is fire. I’ve been straight up obsessed with PRISTIN V’s “Get It” since it was released. The song, the visuals, the outfits, the choreography, everything about it is on POINT. What I really love about “Get It” is that it shows a different side to the girls of PRISTIN, who so far have stuck to the cute concepts as a whole. The members chosen for this sub-unit do a flawless job at executing the new concept, and the song may be one of the catchiest of the summer. If you haven’t checked out PRISTIN V’s latest hit, you’re definitely missing out! The summer dramas are certainly heating up this month, and with so many good ones airing it’s hard to pick just one favorite! However, What’s Wrong with Secretary Kim has really captured my attention even just in the first episode. For one, not much can go wrong in a drama whose lead male is played by Park Seojoon, especially when he plays a wealthy chaebol CEO that is so full of himself he doesn’t allow women to touch him. In the first episode, we’re introduced to Lee Youngjoon (Park Seojoon) and his secretary Kim Miso (Park Minyoung), a lethal couple at work that appear to be the perfect duo. In reality, Secretary Kim is clearly Youngjoon’s backbone, stabilizing his life in a way that he had come to take for granted after many years of having her in his service. One night out of the blue, Miso declares that she is going to quit, much to Youngjoon’s chagrin and eventual despair. For the first time in his life he cannot figure out what had gone wrong and can’t sleep because of it, until he comes to the (clearly false) conclusion that she had fallen for him. The reason for Miso’s decision is left a mystery, keeping viewers guessing as we watch Youngjoon struggle with his inability to let her go. With Seojoon’s larger-than-life character, this drama is bound to have some great laughs on top of heart-stopping romance. If you’re looking for a quick but interesting read, A Thousand Miles to Freedom by Kim Eunsun is a great book to pick up. The novel is an autobiographical account of life and escape from North Korea, providing details of life inside the oppressive government. The grueling nine-year process of escape provides an inside look to the true struggle many North Koreans face. Without providing too many details to spoil, she discusses defecting to China and the hazards faced there (as China and North Korea are allies, therefore defectors were never truly safe in the country) and her eventual freedom upon arriving in South Korea via a long and treacherous journey through Southeast Asia. I couldn’t leave out my other debuted JBJ boy Longguo from my favorites this month. However, more than his music video, I love this special clip that is really just three and a half minutes of the boy being soft and boyfriend as heck. For fans of soft and cute boys in general, this video definitely shouldn’t be missed and will quickly become a favorite, as the song “Clover” is just as sweet as the visuals. I thought my heart was going to burst when he was singing to and cuddling a stuffed teddy bear. Plus, his cats make more than one cameo in the video! Could we ask for anything more warm or soft? 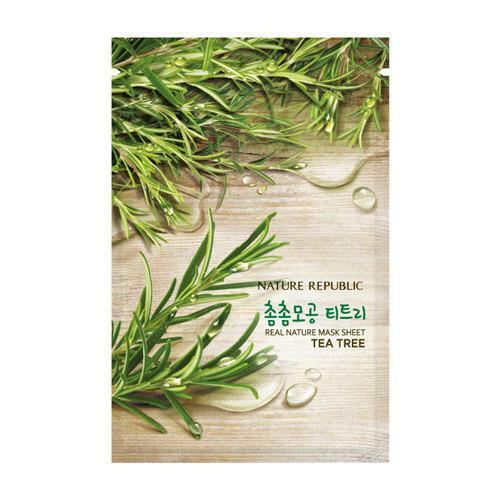 A trip to New York City means a trip to stock up on my favorite K-Beauty products from Nature Republic. About a year or so ago on a whim I bought an eye cream mask, and it turns out that may have been one of the best decisions for my skin that I could have made. While it initially feels a little strange, placing the eye mask on your eyes is incredibly refreshing (on a level higher than just slices of cucumber) and it helps to reduce the dark circles under your eyes. It’s not a complete cure for those, but it’s a nice treat after a long day, and it helps moisturize your eyelids and under eye area. I am the queen of face masks, and as I have stated before, I absolutely adore Nature Republic’s brand of face masks. Over the years I have tried many different infusions, but I’ve found the Tea Tree to be the most refreshing and overall soothing of the choices (although Aloe is a close second when a sunburn is involved). I enjoy the Nature Republic masks the most because they’re so full of moisture compared to other face masks, and the result in the morning after wearing one at night leaves the skin feeling nice and fresh. If you haven’t joined the face mask army, it’s time to invest!